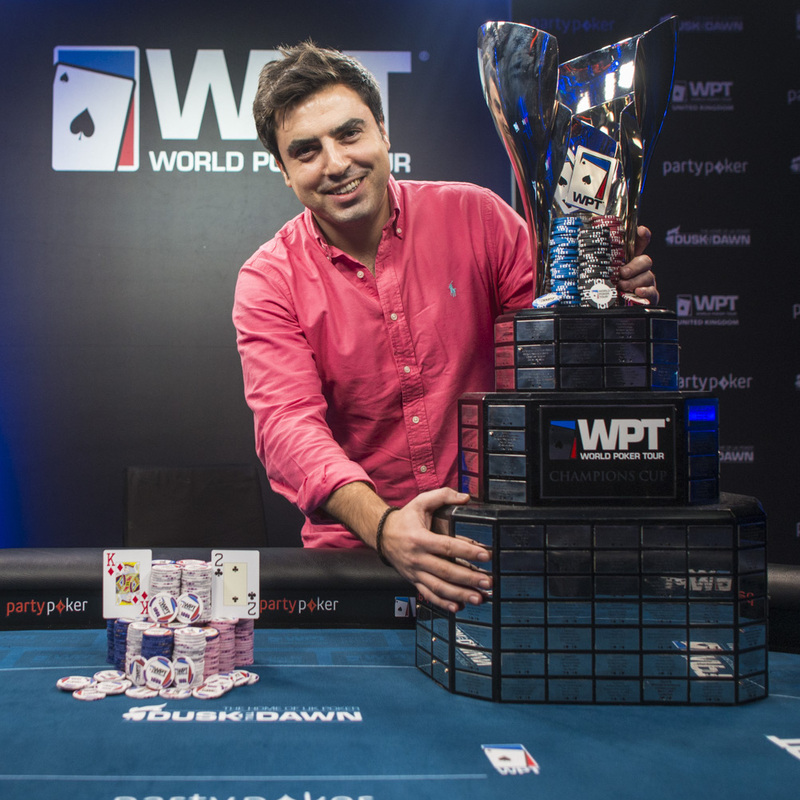 Here are the poker world's big winners from November. Well done to all ! There were some giant events on during November including the WSOP Main Event and the debut PokerStars Festival New Jersey. There's a ton of tourneys on next month too including fun times to be had in super-cheap central Europe with the Unibet Open in Bucharest, WPT Prague Poker Festival and the last ever European Poker Tour event in Prague. 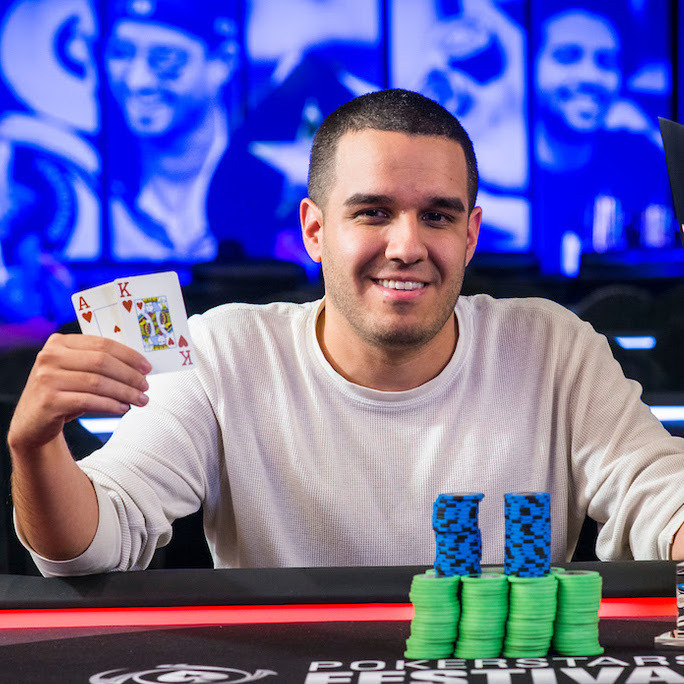 American Jason Acosta secured his spot in the record books by becoming the first PokerStars Festival Main Event champion in New Jersey. Acosta beat a 208-strong field in the $1,100 event to win $38,220. Galician player Luis Rodriguez Cruz won the World Poker Tour Main Event at Dusk Till Dawn in Nottingham on November 6 for a career-best cash of £200,000. The £2,000 event attracted 522 entries with 54 making the money. The next WPT is the Prague Poker Festival. Spanish player Lucas Blanco won the very first £5k Devilfish Cup tournament at Dusk Till Dawn for £250,000. Also in the money was MainEventTravel ambassador Simon Deadman, Ben Heath, German pro Manig Loeser and former Hendon Mobster Barny Boatman. 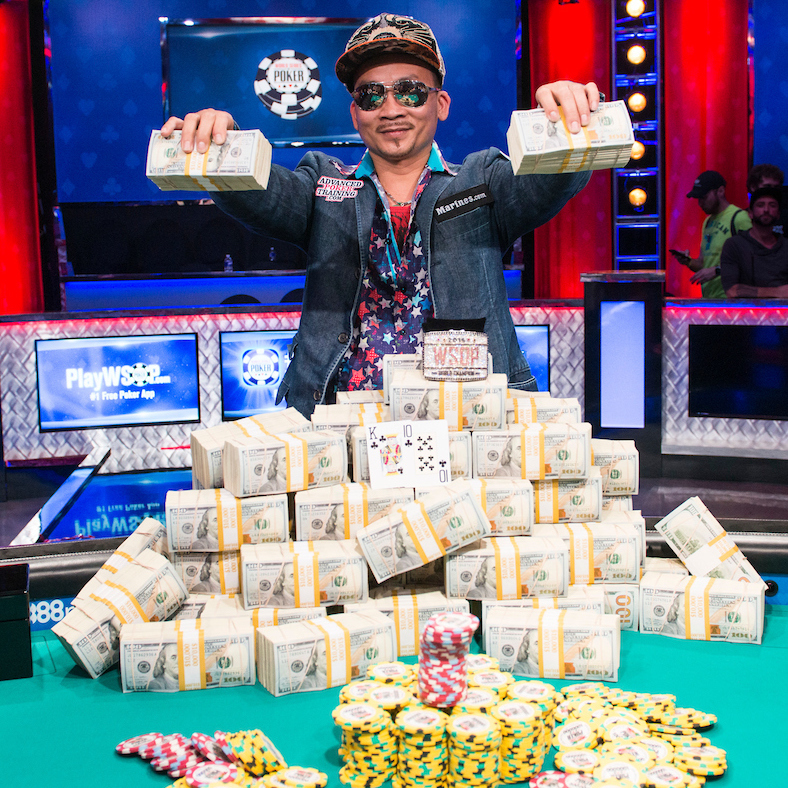 Qui Nguyen won the 2016 World Series of Poker Main Event champion, earning his first WSOP bracelet. The 39-year-old, who hails from Vietnam but now lives in Las Vegas. beat American Gordon Vayo heads-up to secure a $8,005,310 payday. Swedish player Robert Berglund won the Battle of Malta Main Event for €160,000 on November 7. It was the single biggest payout in the event’s history – and by far the biggest live cash for Berglund, who also finished fourth in the Poker-SM Main Event in June. 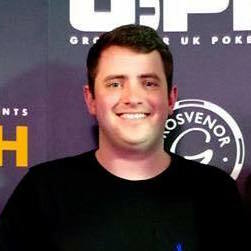 British pro Tom Middleton won the GUKPT Blackpool Main Event after a three-way chop with Tom Hall and Richard Kellett. It was another great turnout in Blackpool for the main event, which attracted 251 entries creating a prize pool of €251,000. Russia’s Vladimir Geshkenbein became the first player to win an APPT and EPT title after taking down the 2016 Asia Championship of Poker Main Event on November 12 for HK$5,743,000. The former pro turned economics student won EPT Snowfest in Austria in 2011. EPT Malta champion Niall Farrell became the “two tour champ” when he won the Season XV partypoker World Poker Tour Caribbean Main Event in Punta Cana, Dominican Republic. The ebullient Scotsman topped a field of 323 entries for his $335,000 prize and first WPT Main Event title. 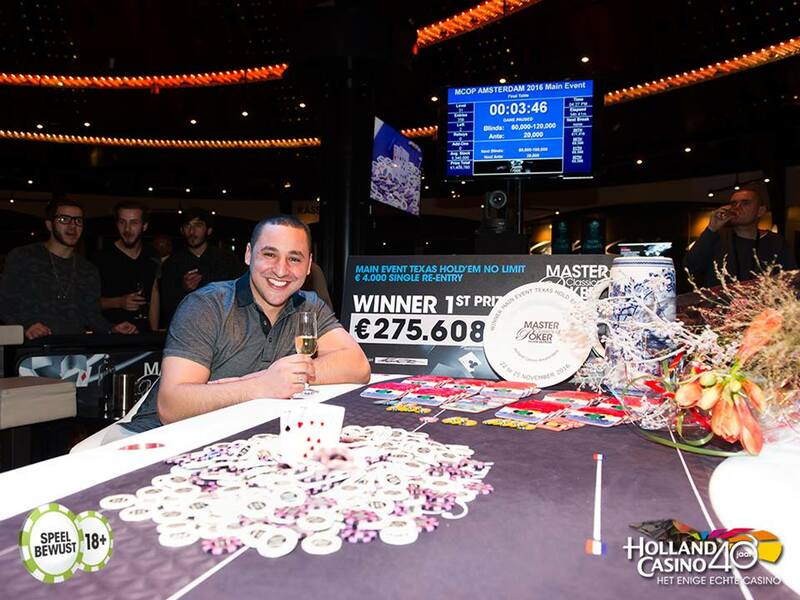 Hakim Zoufri won the €4,000 + €250 Main Event at the Master Classics in Amsterdam for €275,608. 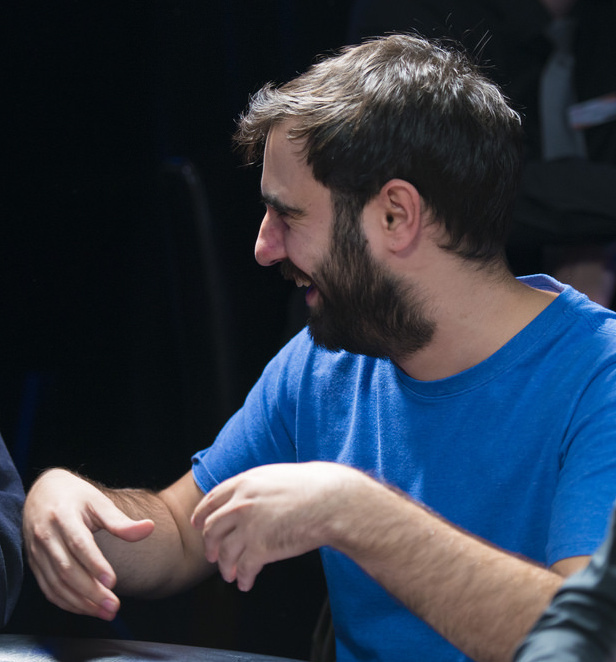 Zoufri beat Fabio Sperling heads-up and now has more than $400k in live tournament winnings. There were 365 entries creating a prize pool of €1,409,760. 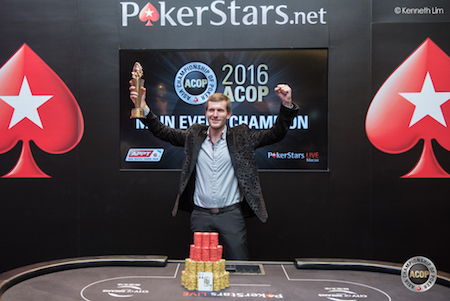 Former EPT Player of the Year Ole Schemion took down the Super High Roller while EPT Dublin champion Noah Boeken scooped the High Roller.